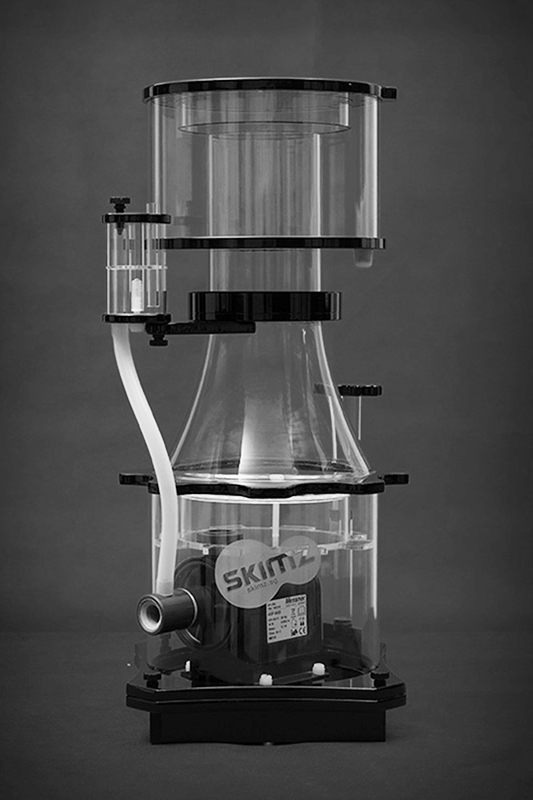 Skimz Octa protein skimmer is the first to use the Messner needlewheel pump, a highly refined German-made aquarium water pump. Messner pump is best known for high efficiency with very low noise and producing a very fine air-water mixture. Skimz Octo protein skimmer’s air silencer which is now fully serviceable, and further reduces noise. Skimz Octa line of German-powered protein skimmers has four different size: SC145, SC165, SC205 and SC255. 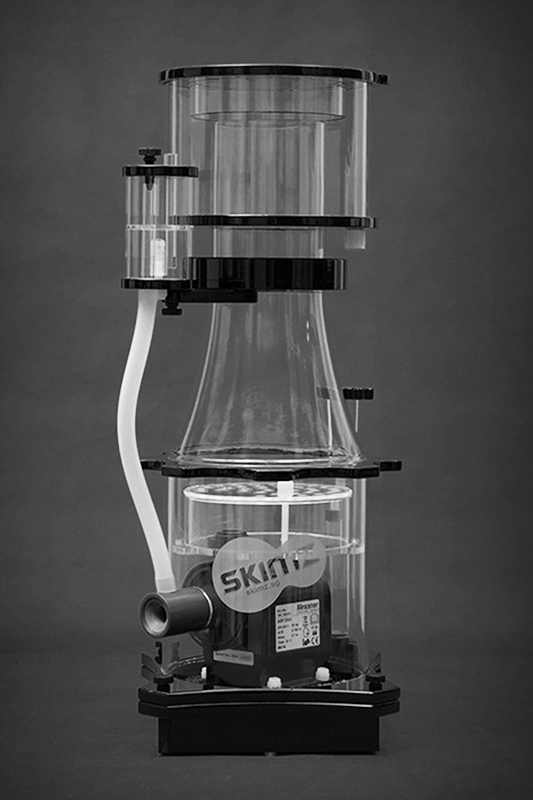 Skimz Octa SC145 Protein Skimmer is fitted with Messner ASP1500 needlewheel pump, a highly refined German-made pump. With low energy consumption of 16W, this single pump model is designed for aquarium up to 600 litres. 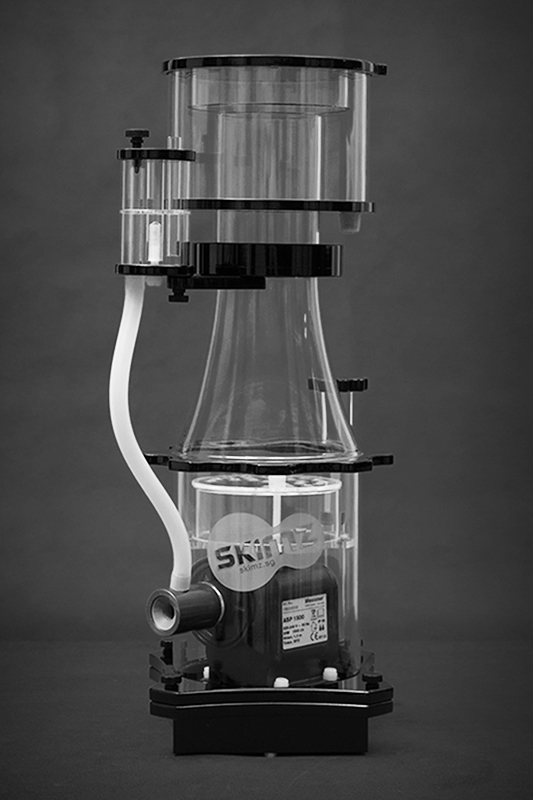 Skimz Octa SC165 Protein Skimmer is fitted with a more powerful Messner ASP2500 needlewheel pump. Skimz Octa SC165 is suitable for aquarium up to 1,200 litres. Skimz Octa SC205 Protein Skimmer is fitted with Messner ASP4000 needlewheel pump which draws an amazing air intake of 900 litres per hour. Skimz Octa SC205 is suitable for aquarium up to 2,000 litres. 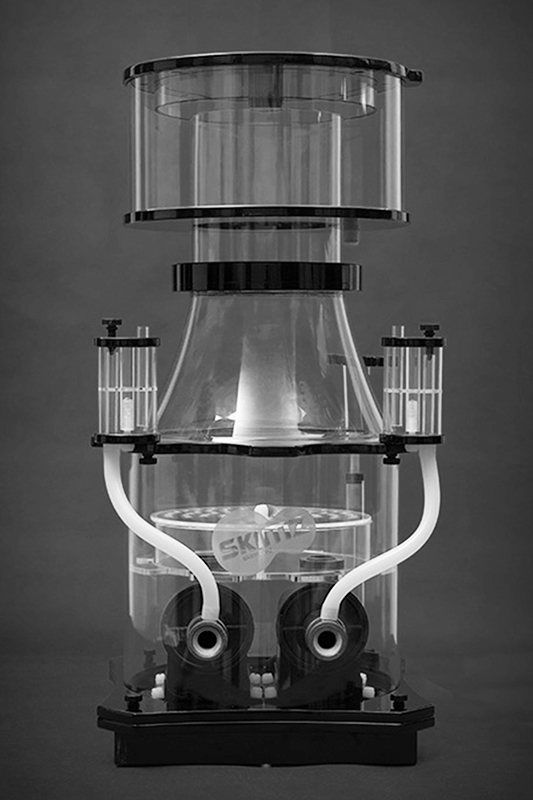 Skimz Octa SC255 Protein Skimmer is an extreme performance skimmer for advanced reefer. Fitted with two Messners ASP4000 needlewheel pumps, the SC255 draws an amazing 1,800 litres per hour of air. Skimz Octa SC255 is suitable for aquarium up to 3,000 litres.